As we left the hospital over 3 weeks ago, we felt so unprepared, yet so ready. We hobbled out onto the hospital curb, blinking back the sunlight, so ready to rid ourselves of nurses disrupting our sleep every 2 hours. We crammed the new little bundle of our DNA into her car seat, and drove the familiar road home, feeling like we had just got back from traveling to outer space and had returned to an alternate universe. As we walked into the front door of our house, our dog met us, excited at first and then confused as we introduced him to the new family member. We took her into her room that we’d prepared while she was in gestation. 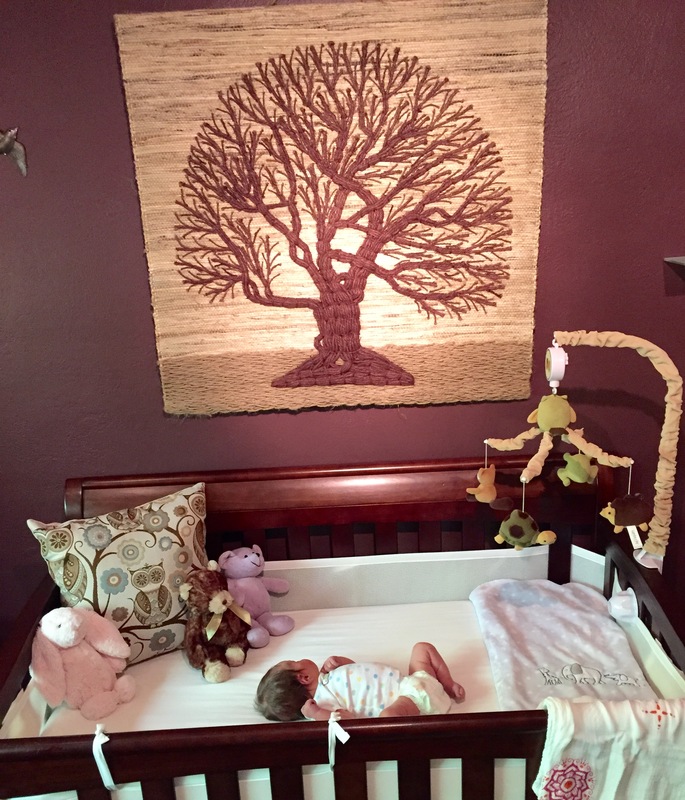 It was a surreal moment, as the tiny body lay in her gigantic crib, and stared at the decor we had chosen. She was here. 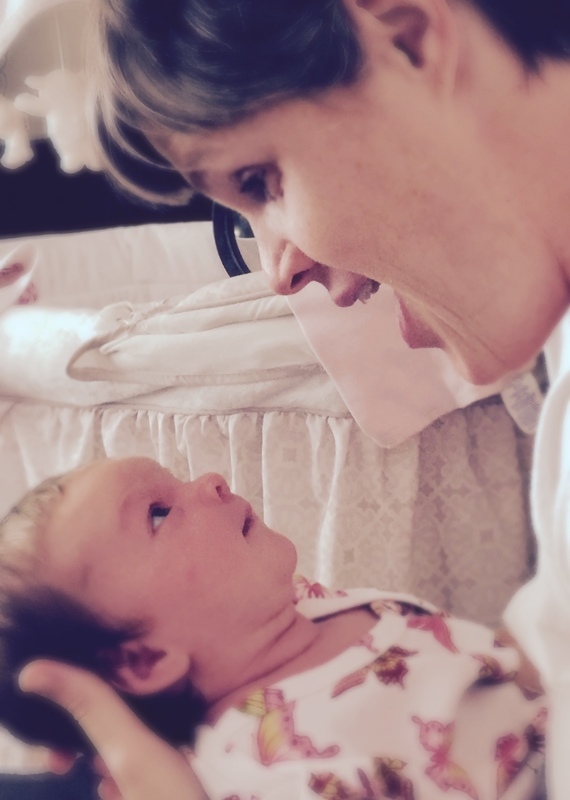 We could see her features, feel her tiny grip on our finger, hear her cry, see her breathe. Wow. What followed that first week was an exhausted, blissful seven days, the three of us living mostly in our living room, where our existence consisted of feedings, sleeping, rocking, cuddling, changing diapers, and staring at wonder at this new tiny human who didn’t exist prior to our exchange of love. Time didn’t exist, just light and dark and sleep and eat. Our sanctuary was each other – the 3 of us – figuring out our new schedule of living as a family, our new routine, our new rhythm of life and love. The week after, neighbors and friends brought over meals and oogled over our new little earthling. Parents came to stay for a few days getting to know the newest grand-baby. And so we’ve oozed into our new reality for the rest of our lives: parenthood. It’s weird. One day you’re a singular human being, the next day you are a mother, or a father and your life is suddenly not your own. You are suddenly thrust into a culture shock of living for another human being and the used-to-be small details of everyday life suddenly are very huge hurdles to detour through. What I am learning is the gift and reality of being present. And this new creature is my mentor on this epic new journey. I thought I knew what it was to be present. Parenthood has definitely upped the ante. Sure I knew bits and pieces of the power of presence, but not to the extent to which parenthood brings you. For example, any time we’re going to leave the house, it takes a whole lot of planning, as if we were leaving for the weekend on a camping trip. We have to make sure we pack the car with everything we may possibly need, and then I have to feed our little one, sometimes multiple times. And then the changing of the diaper, and as you’re changing the diaper, another mess occurs, and so you can go thru up to 5 diapers in one changing, not to mention all the cleaning that now has to take place of the changing table and anything else that got splattered on. Time really kind of disappears as the new challenge becomes just to get out of the house to go to Safeway – an hour trip that used to only be a quick run down the hill for 20 minutes or so. Let me give you another example that just happened today. I was determined to get out of the house for a walk – something of a luxury as of late. And at this point I knew it would take some planning. So the planning started with the feeding – which took about 40 minutes. Meanwhile, our dog has gotten wind that there is a walk coming soon, so he’s now whining and ready to go NOW. So the next thing on the agenda is to figure out how the front carrier works. 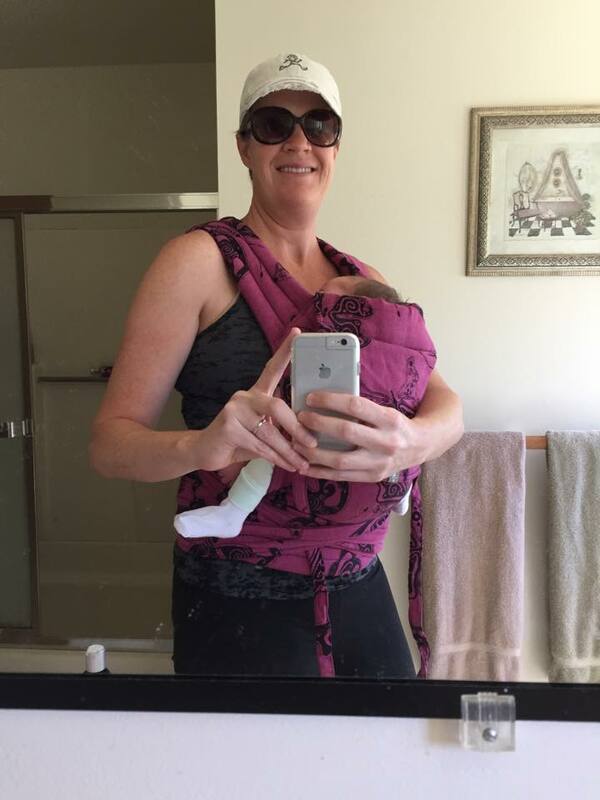 After figuring out that cool contraption, now to change the diaper. Which triggers another feeding. After some time of eating, she looks like she’s done and about to nap, so I lay her down while I get changed. I get my pants on, and she is still hungry. So pause for a feeding. She’s done – so I lay her down and get my shoes on. She’s now hungry again. So pause again for a feeding, upon which she looks drowsy again and I think “this is it!” So I run to pee, come back and she still needs a bit more of a top-off before she’s finally satisfied. At this point, my dog is laying exasperated on the floor, with the most hopeless look on his face. So I put on the front carrier, get her situated inside, and we finally are able to leave on our adventure! Which made the walk that much better! This just isn’t a walk – it’s a freakin expedition! 4 weeks ago, in the time it took us to get ready, we would have gone on the walk and been back for a while. But that was then. This is our new reality. And it’s all about being present. What great writings….I also had to be retrained to be present…. It’s so fun once you let go and enjoy it. Keep writing you are a beacon for my soul. Love ya! What a beautiful way God brings us truth, wisdom, and insight, delivered in the lovely, non-confrontational package of a doting, dependent newborn daughter. Thank you for your presence with her.